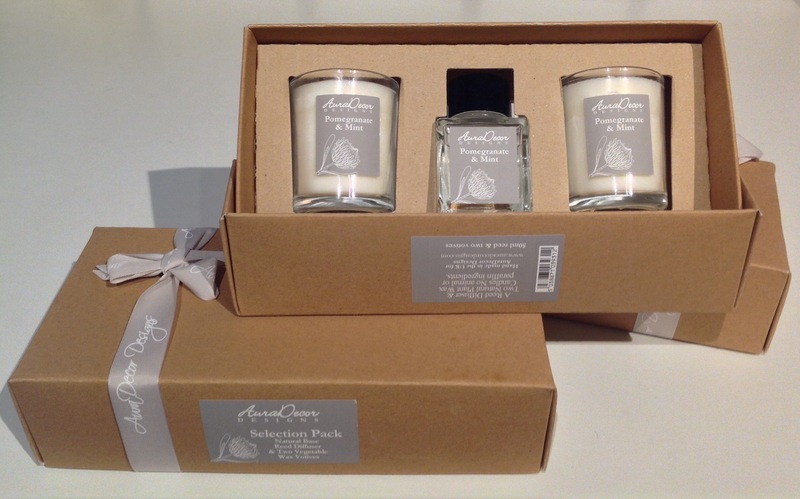 Reed Diffuser Candle Gift set - An elegantly presented combination gift set ideal for the discerning home maker. The Gift set comprises of 2 natural plant wax candles in glass votives, and a natural essential oil glass reed diffuser with reeds. 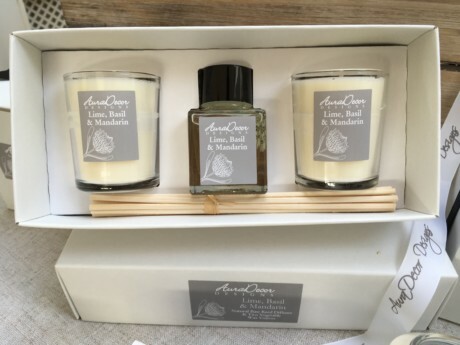 Attractively packaged in a branded gift box made from recycled paper and cardboard, this giftset will make an ideal gift for the animal lover as our products are never tested on animals. Kind to the environment. Contains no animal or paraffin ingredients, clean burning and additive free. Handmade in the UK for AuraDecor Designs.